Built-in press-to-actuate switch (Normally high with 10K pull-up). RobiCon.org compliant (Molex MicroBlade) connector, 5-pin. "Add fine X-Y control to your project!" With RobiCon (Molex MicroBlade) connector pre-soldered. Thumb-type joystick very similar to thumb-sticks inside a PlayStation 3 controller. Built-in actuation button, just press down on the stick. 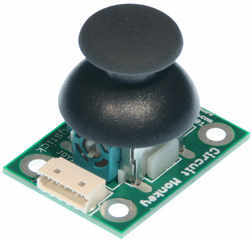 The signals on the joystick board are connected using a 5-pinMolex 53015 (MicroBlade) series for reliable and vibration resistant connections. 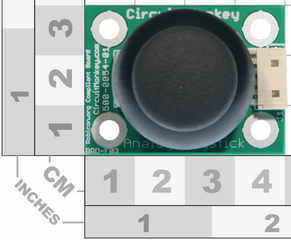 The board is 40mm x 30mm and features four mounting holes placed at each corner of the board. 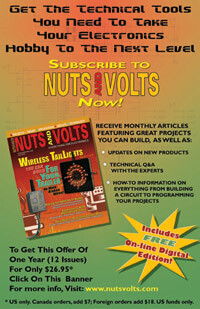 Perfect for applications where solid mounting is required. The holes are plated and connected to logic ground and accept screws of size M3 or less ( M3, 6-32, M2.5, 4-40, etc. ).